6. Stir together mayonnaise and sugar. 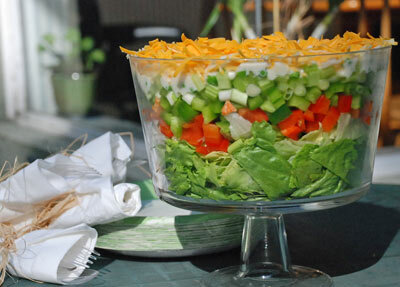 Dot over salad and spread carefully over top to cover. 7. Top with grated cheese and bacon bits (optional).